The earliest May Day celebrations appeared in pre-Christian times, with the festival of Flora, the Roman goddess of flowers. It is also associated with the Gaelic Beltane, and the giving of “May baskets”, small baskets of sweets and/or flowers, usually left anonymously on neighbors’ doorsteps is a tradition. Many pagan celebrations were abandoned or Christianized during the process of conversion in Europe. A more secular version of May Day continues to be observed in Europe and America. 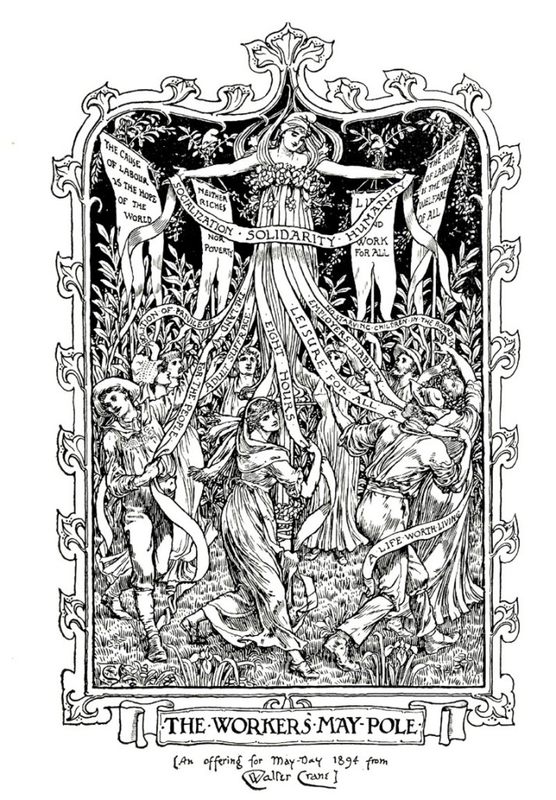 In this form, May Day may be best known for its tradition of dancing the maypole dance and crowning of the Queen of the May. Various Neopagan groups celebrate reconstructed (to varying degrees) versions of these customs on May 1. May Day, also known as International Workers’ Day, has long been a day on which the labor movement holds street demonstrations and marches. This originates with the United States labor movement in the late 19th Century. On May 1, 1886, unions across the country went on strike, demanding that the standard workday be shortened to eight hours. In more recent years this day has been taken back by the “Occupy” movement. Some peaceful, some not-so-peaceful demonstrations have been held across the US in some of the larger Metropolitan areas. 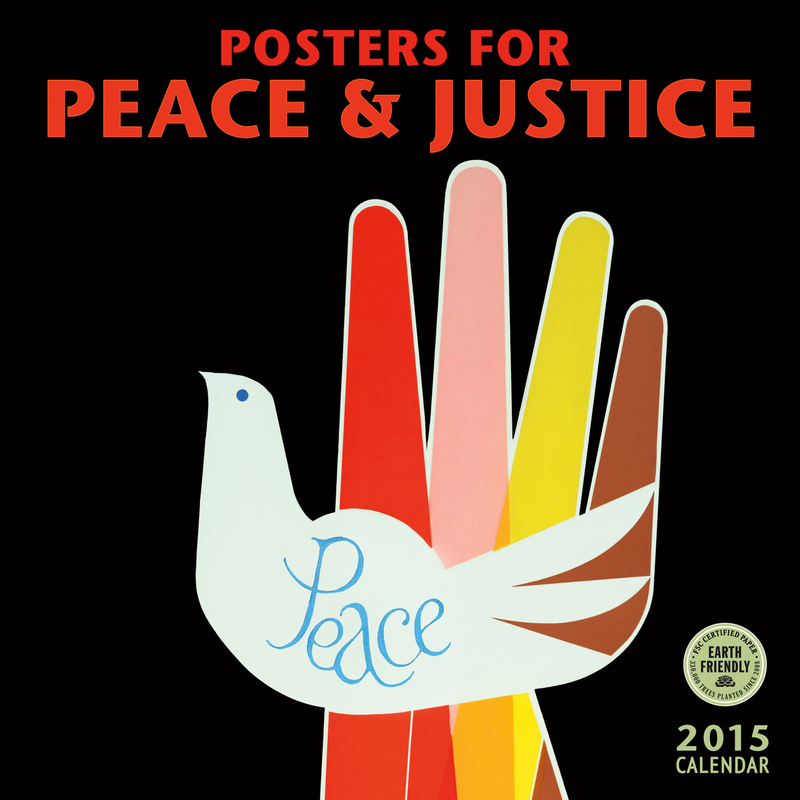 Published in the 2014 Posters for Peace and Justice wall calendar. The young woman represents the new generation stepping onto the world stage. (If you look closely, you’ll notice that she’s sowing seeds as she strides across the urban landscape.) I created this image to expand the notion of Occupy to be about public space, which has been shrinking in recent years as everything is becoming more and more privatized. The idea is to step away from your flat-screen, away from the Internet (however briefly) and into the living, breathing world. This poster was pasted onto brick walls and lampposts, and the artist physically left his studio and joined the growing crowd in the streets. These are 2 of the political posters that have appeared in the Posters for Peace and Justice wall calendar. Or any one of your preferred online retailers.